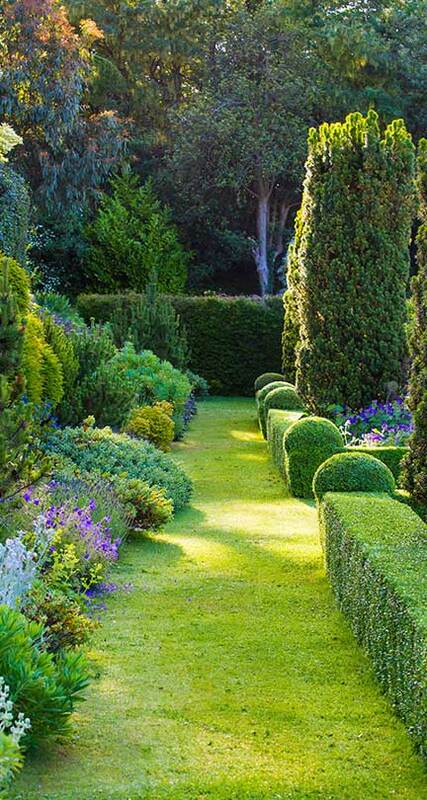 The gardens and grounds cover some 17 acres and include a warm south-facing terrace where the “Sitooterie” provides shelter for a contemplative cigar smoker or reader. 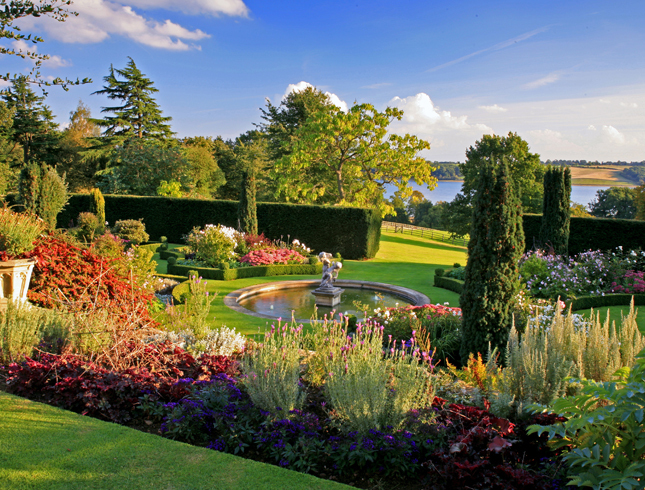 The Parterre, designed by Neil Hewertson in 1995, provides year-round pleasure with architectural plants and shrubs. Owner Tim Hart is a keen gardener and is especially proud of Cork oaks, pines and a wealth of other trees and shrubs planted on his watch. Tulips are a great favourite and other spring bulbs can be enjoyed from late March. 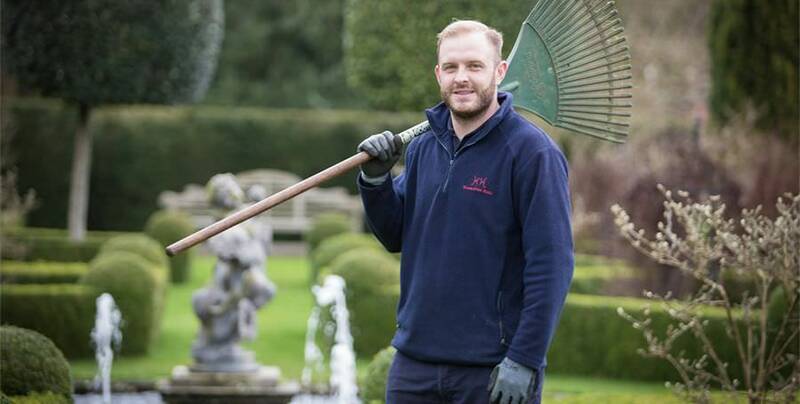 Dave and I ensure that everything outside Hambleton looks as good as it does inside. 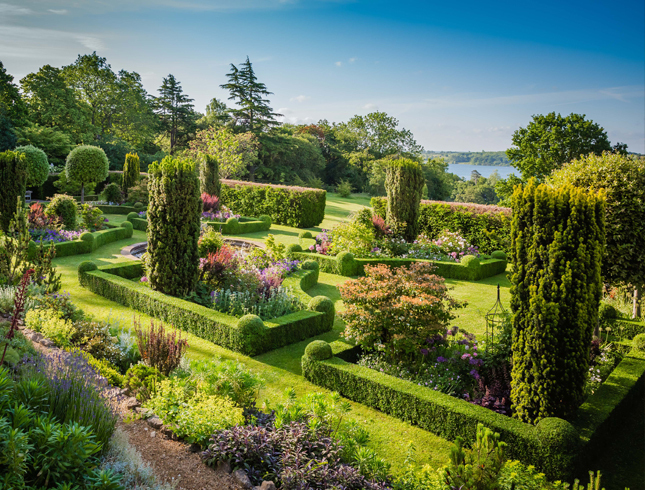 The garden offers a number of secluded corners where one can sit and enjoy spectacular views and opens on to the south-facing Park and Rutland Water. 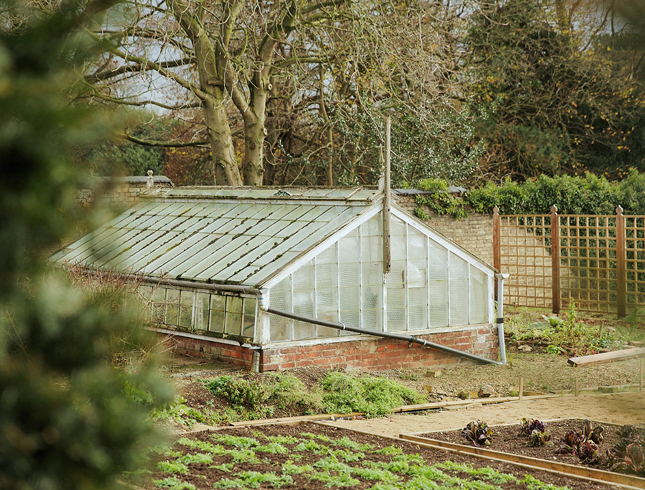 A walled kitchen garden is cultivated intensively for herbs, salad vegetables and soft fruit. 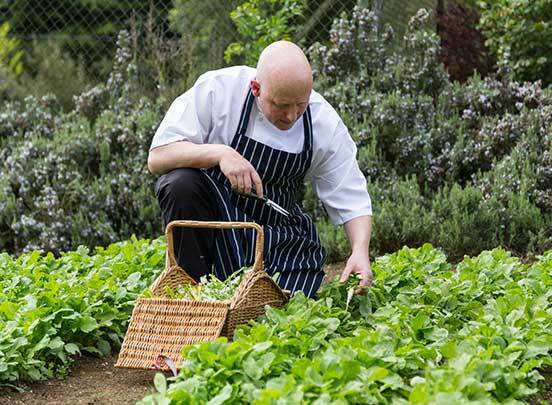 In summer, courgette flowers are sent daily to the kitchen to form part of one of Aaron Patterson’s favourite dishes.